47 Brand 100% cotton, charcoal women's sweater with cardinal sleeves, cardinal ribbed neck, and striped cardinal and charcoal ribbed detail at end of sleeves and bottom. Large cardinal Crest above 'BROWN' in cardinal on front. 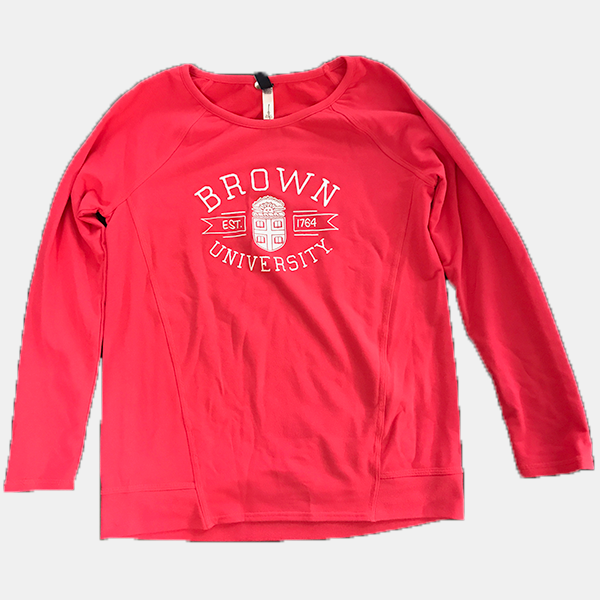 Please select option for 47 Brand Charcoal & Cardinal Women's Sweater - $75.00. 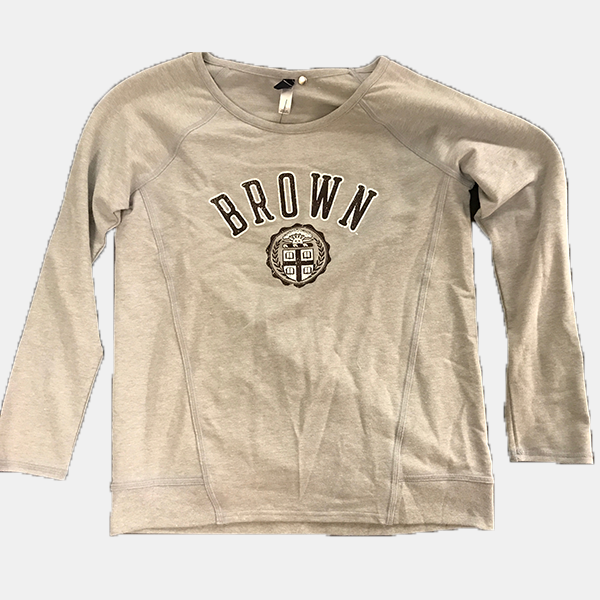 Champion 50% cotton, 50% polyester, dark grey women's crew sweatshirt with ribbed, charcoal trim at neck, end of sleeves, and bottom of sweatshirt. 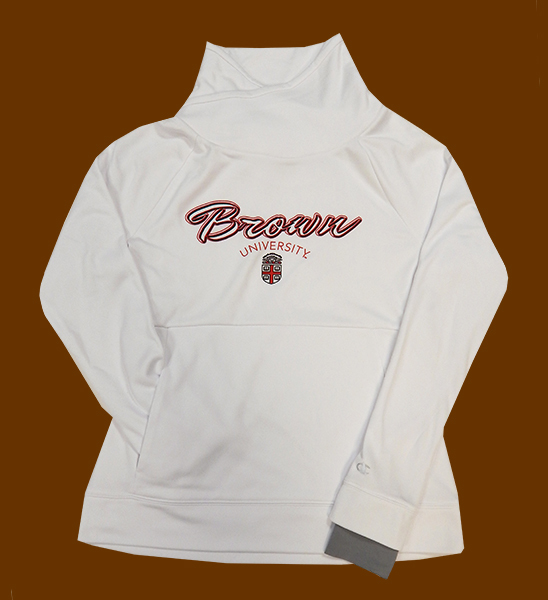 'BROWN' imprinted in white outlined letters above 'UNIVERSITY' in white outlined letters. Please select option for Champion Grey Women's Crew Sweatshirt - $44.99. Champion 100% polyester, white cowl-neck women's sweatshirt with grey extensions at end of sleeves with thumb-holes and hand-warmer pocket. 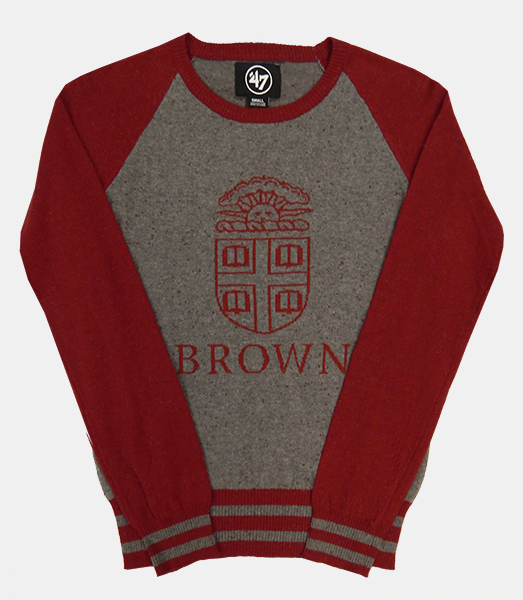 'Brown" in outlined black and cardinal script above 'UNIVERSITY' in cardinal above cardinal and black Crest. 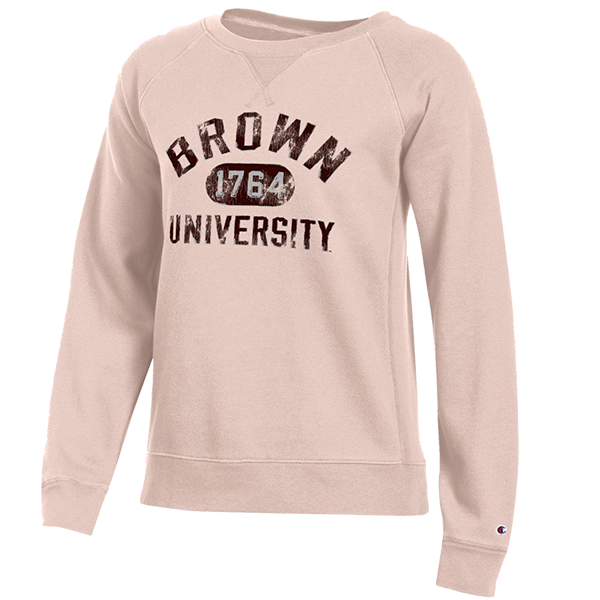 Please select option for Champion White Cowl-Neck Women's Sweatshirt - $49.99. Please select option for Champion Women's Fleece Crew. 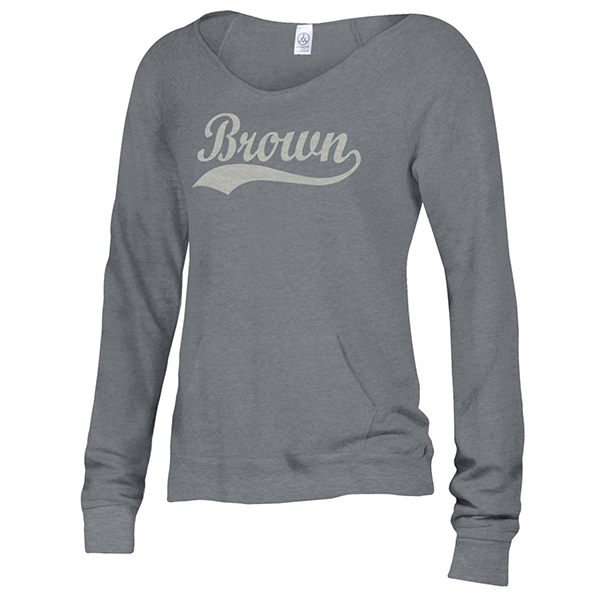 Gear 58% cotton, 38% polyester, 4% spandex, grey women's crew sweatshirt. Distressed imprint of 'BROWN' in brown with white outline above large brown and white medallion with brown and white Crest in the middle. Please select option for Gear Grey Crest Medallion Women's Crew Sweatshirt. Gear 58% cotton, 38% polyester, 4% spandex, hot pink crew sweatshirt. 'BROWN' imprinted in white type above Crest in white with 'EST.' on right side and '1764' on left side in ribbon outline above 'UNIVERSITY' in white type. Please select option for Gear Hot Pink Crest Est. 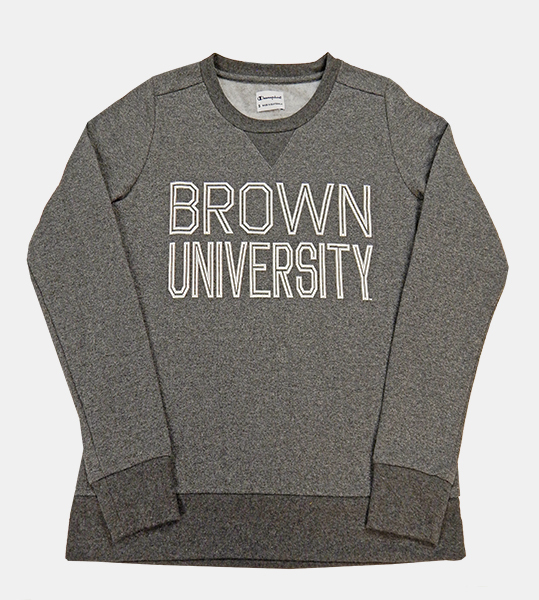 Crew Women's Sweatshirt.